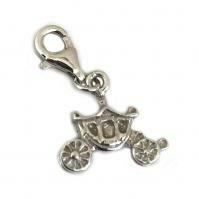 Carlo Biagi Clip On Charms includes beautiful sterling silver charms you can add to link style charm bracelets. 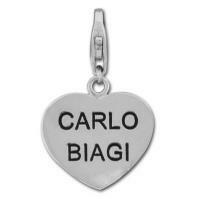 Carlo Biagi charms are popular and easy to use, simply clip them on the chain to combine and create a stylish charm bracelet to reflect your own personal style. Made of high quality sterling silver and comparable to Thomas Sabo and other popular charm jewelry bracelets brands.